In setting up your small business everything boils down to building a brand awareness, which is even locally hardly achievable without a proper website. 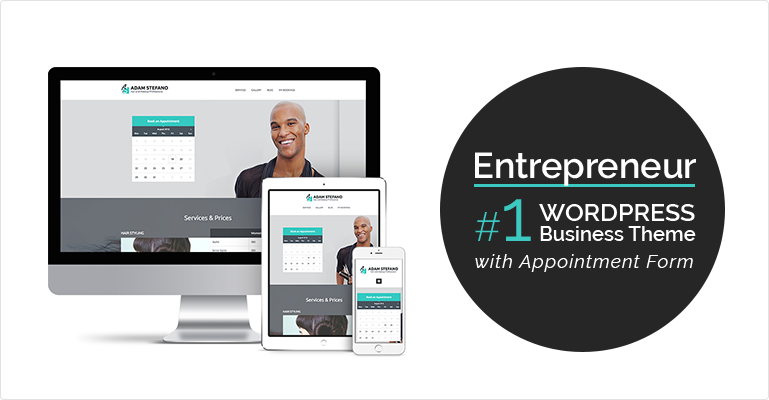 A fresh Entrepreneur business WordPress theme with an appointment booking form for small business by MotoPress was created to help you professionally present your online project spending minimum efforts. It offers maximum opportunities for your creativity during the customization process, reliable technical foundation with many user-friendly tools, and savvy support team on the other side of the line. 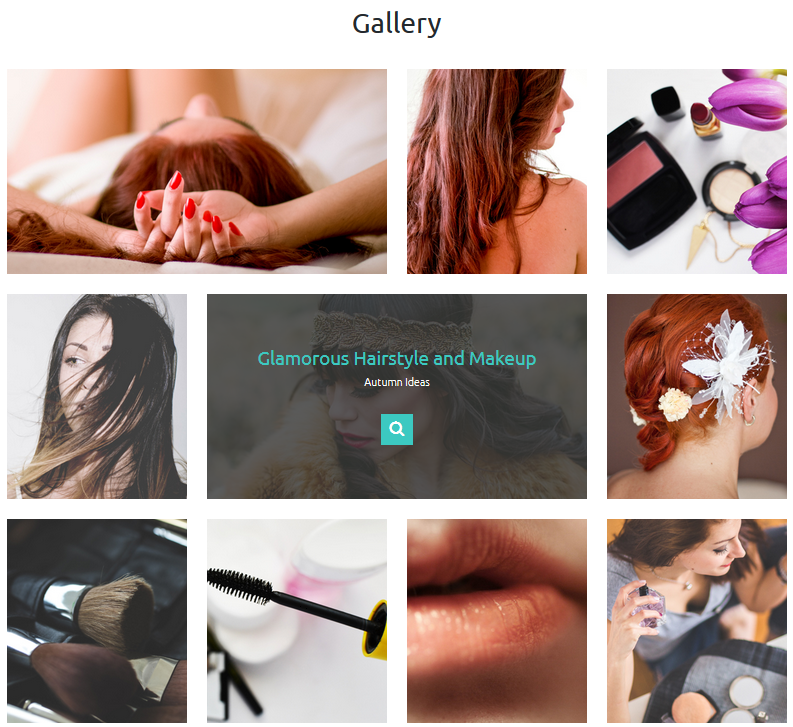 By default, Entrepreneur’s main niche is hair and makeup services, but a sample set of content modules is multipurpose and it can be very quickly adjusted to any small business industry: gardening and cleaning services, business consulting, women’s health platform, wedding planner services, recycling company, training courses, freelance website, translation services and much more. 100% readability: in a couple of seconds all of your main services, contact details and news are easily noticeable in clutter-free layouts. Fully customizable front page: an ultimate toolkit of the WordPress Customizer will help you make your home page unique and stylish without any additional technical help. You are also free to customize header and footer of your website, including an ability to add more default and custom (via plugins) widgets. Unlimited colors: it’s hard to overestimate the importance of a right color in building your brand and the entire website readability. With Entrepreneur, you are provided with endless possibilities in experiments with the colors: choose from either predefined color schemes or find a suitable one with a help of a color picker. You are free to change any needed color: header text color, background color, text color, accent color (buttons, calls-to-action). Google fonts: the second essential element for your website readability and style. You are free to customize default fonts for all your headings and texts. Appointment Booking plugin included (save $34): if you have to constantly deal with clients personally, this plugin will let you save a lot of time and efforts you would normally spend on making and taking calls, managing your appointments in a notebook or elsewhere. The system will automatically let you track all appointments and have all of them perfectly organized. 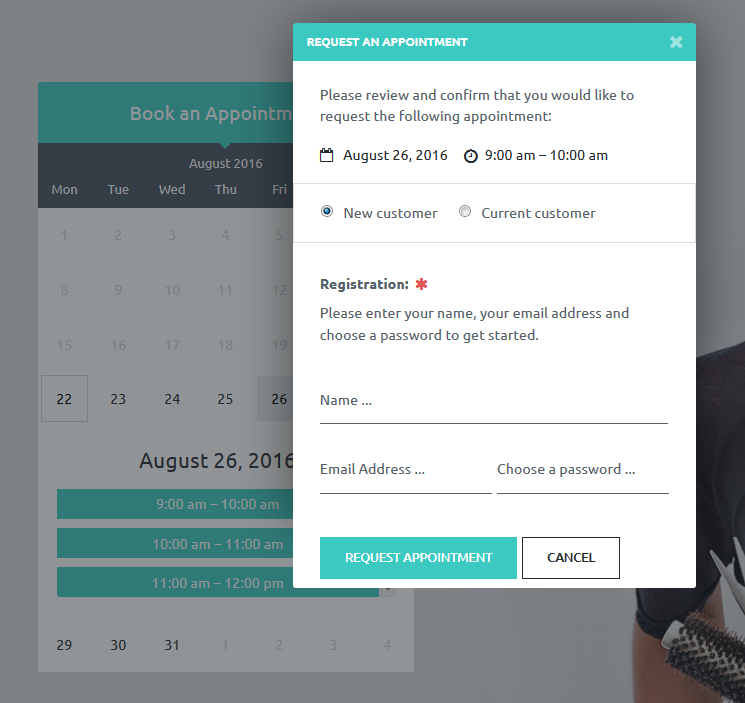 Your website guests will be able to book an appointment with or without registration. 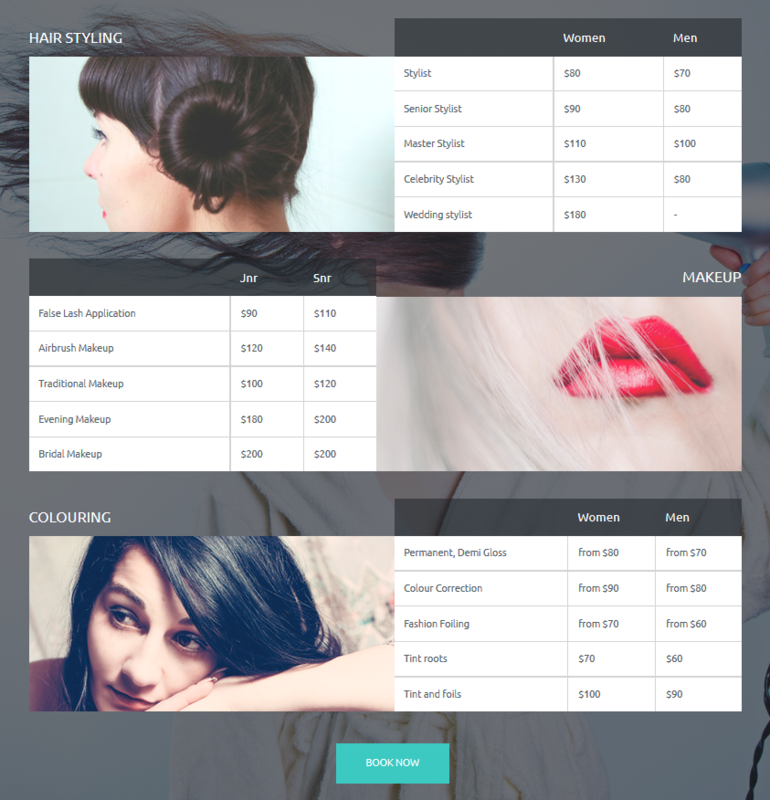 It’s also customizable in terms of colors, email templates and view modes. Moreover, the plugin can be used to create multiple independent forms, can be integrated with WooCommerce and synchronized with the Google calendars of your customers. 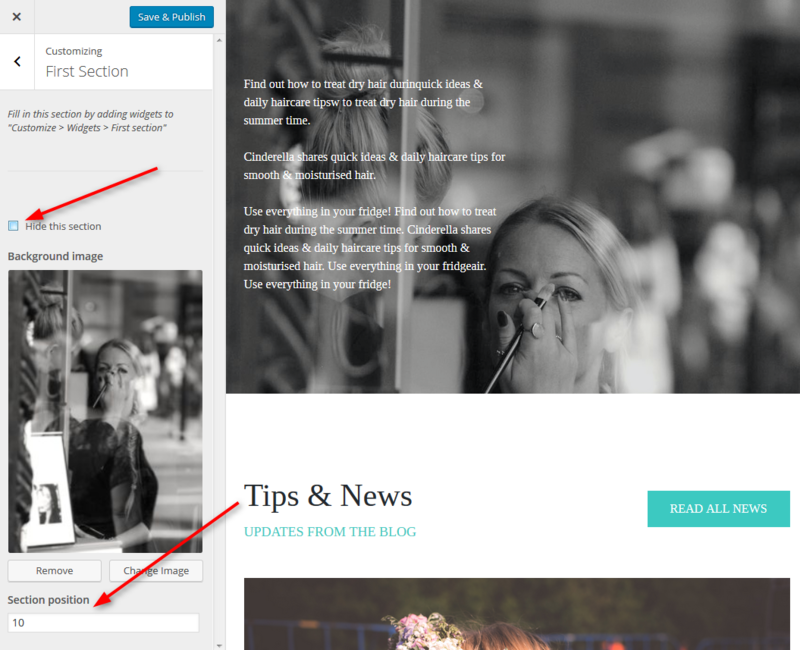 MotoPress WordPress Page Builder to create posts and pages on the frontend implemented (save $29): a great tool to save your time and money. 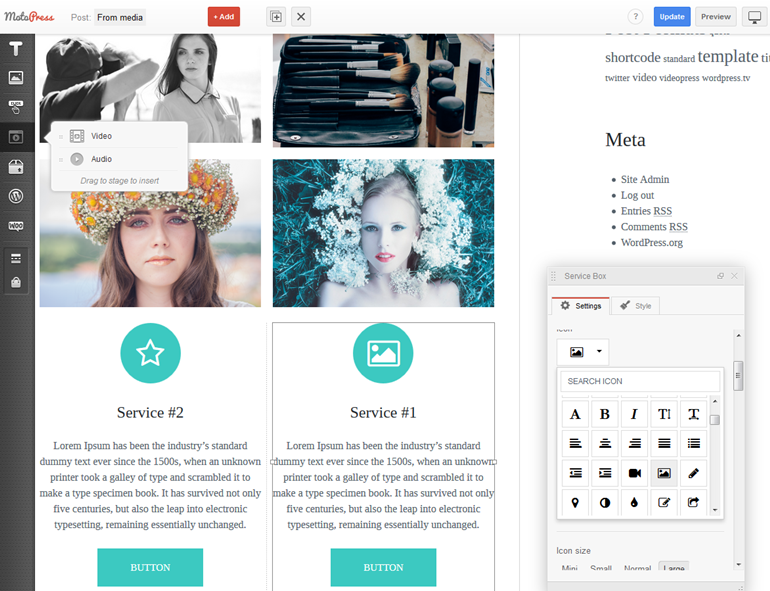 The plugin lets you build well-organized professional layouts with tons of text, media, charts and other content elements available. Its drag-n-drop functionality will turn a customization process into a breeze for every WordPress user without any expertise and for a developer even more so. If you find a default WordPress toolkit easy in use, than MotoPress page builder will make your work a real fun. 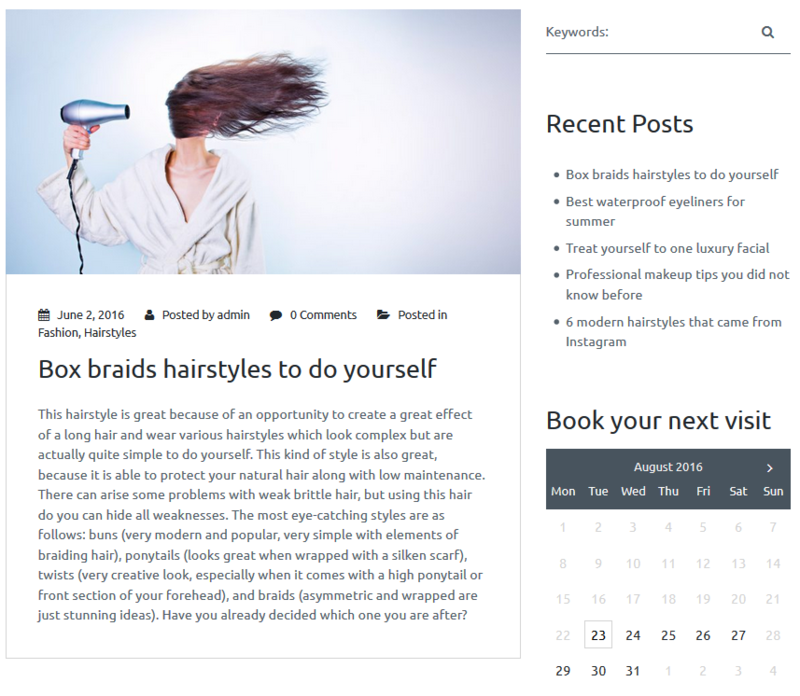 Here is a plugin demo , which is chock full of content examples added via this plugin. You might be interested in checking its power in action! 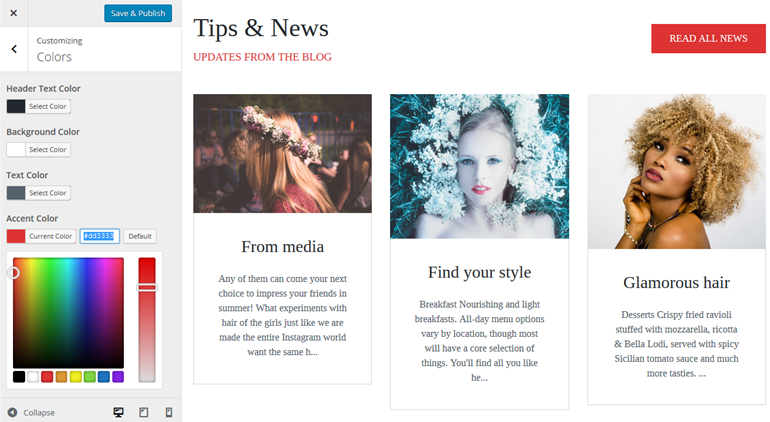 Shift or hide front page sections: set the preferable order for your content blocks by simple updating their positions via the WordPress Customizer. If there is any you don’t plan to use, simply click “Hide” – the chosen content block won’t be visible until you want to put it back on the front page. 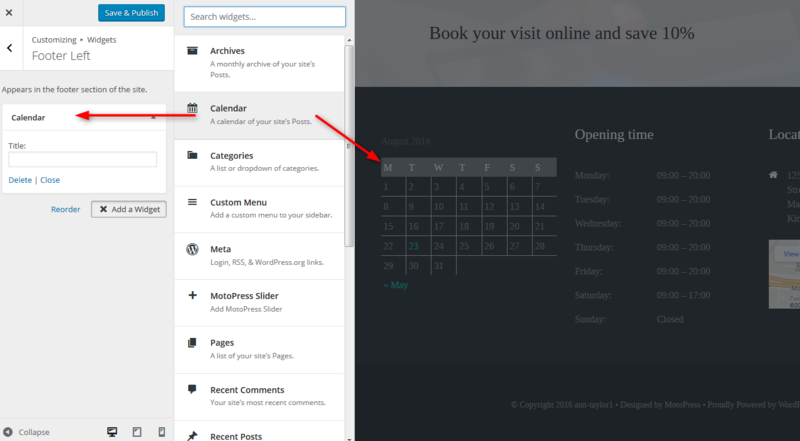 And one more stunning feature is a number of content blocks the theme offers. They are rather multipurpose allowing you to simply fill them with your custom content. All of them are placed in a logical sequence without unneeded layout complexity. Any of them can be customized, shifted or totally hidden. The header is presented with a huge background image and the Appointment Booking form mentioned a while back. Then follow carefully-crafted tables with Services&Prices plus featured image for each services category. Such a way of presenting your key products/services helps the readers quickly and easily understand and compare your overall offerings. The appropriate background image makes this content block even more catchy. Positive Testimonials is a half of success. That’s why Entrepreneur theme allows you to present them in a very creative way to provide even more happy times for your potential clients. You may check the example of a testimonial under the readability feature described earlier in this post. Calls-to-action can become really cool organic conversion-boosting tools if done wisely. The theme shows an example with 10% discount on online appointment booking. Not a blatant, natural way to win your audience. You are free to put any info you need to impress your potential customers (you can also set a background image for this section). You can get this beautiful theme for only $55 for a single website. 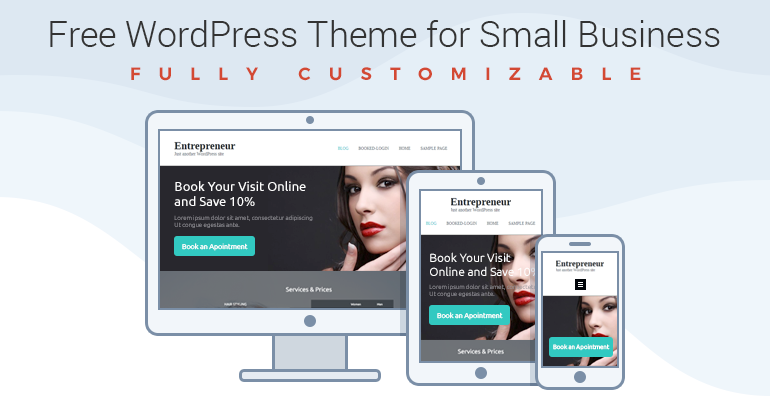 In case you run multiple websites and want to use Entrepreneur theme for them, get the $99 license to install the theme on unlimited websites. Both are a one-time payment, with 1 year of priority support included. If all the described benefits are just what you were looking for, grab the theme and start your way from small business to a big one! Already got a chance to play around with the theme? We cannot wait to hear your feedback!